Jorgie is best known for her role as Theresa McQueen in the Channel 4 drama serial HOLLYOAKS. She was a contestant on the seventh series of DANCING ON ICE on ITV and made it all the way to the final where she finished runner up. Jorgie was then asked to return for DANCING ON ICE: CHAMPION OF CHAMPIONS. Nominations include Best Serial Drama Performance at the National Television Awards and Best Newcomer at the British Soap Awards. Jorgie recently starred in ITV's award winning series I'M A CELEBRITY... GET ME OUT OF HERE! After returning from Australia, Jorgie filmed an episode of LIP SYNC BATTLE for Channel 5 against Rufus Hound and worked with E! on their live red carpet coverage of the Golden Globes. Most recently Jorgie starred in the highly anticipated BBC1 remake of ARE YOU BEING SERVED and is currently playing ballet dancer Iris Kelly in the highly acclaimed 30th Anniversary UK Tour of FAME: THE MUSICAL. The show will head to the West End in September 2019. 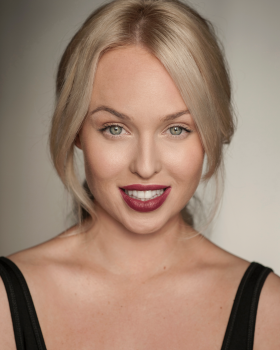 Jorgie is the face of major international skin care brand Proactiv+.